Customs duties are a source of revenue for the Government of Canada. Documents filed by importers, customs brokers, freight forwarders and bonded warehouses are sources of trade data that is used by the Government of Canada for a variety of purposes. There is no getting around the fact that enforcement of Canada’s customs laws by the Canada Border Services Agency has increased. LexSage provides sage legal advice to clients to help them comply with Canada’s customs laws. 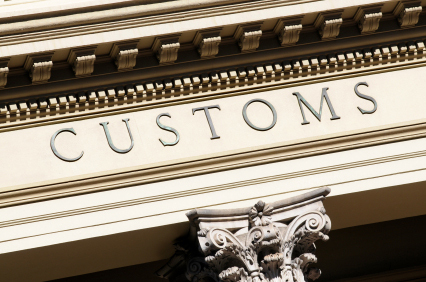 Customs regulation is one of LexSage’s core competencies. Cyndee Todgham Cherniak draws on 20 years of experience in guiding client through the maze of Canadian border issues. Whether your goal is proactive customs compliance or receiving duty relief or reactive defense in a dispute with the Canada Broader Services Agency, we are here to help you. Do you require strategic legal advice about the tariff classification of a good? Do you require guidance on the customs valuation, including related party transactions, deductions and additions to price paid or payable under the Transaction Value Method or alternative valuation methodologies? Do you require assistance in structuring royalties, assist and other payments? Do you require assistance with rules of origin? Do you require an advance customs ruling? Are you looking for opportunities to save money by utilizing Canada’s duty relief programs, including duty drawback or duty referral? Are you looking for sage advice to establish internal controls and tracking to prevent errors? Have you been notified of a verification and require an observer to protect your interests? Have you identified errors in your past reporting and would like to make a voluntary disclosure of tariff classification errors, valuation errors or origin errors? 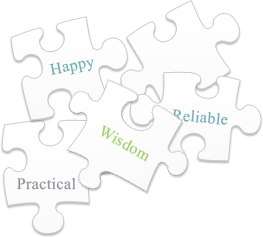 Do you need assistance complying with Canada’s “reason to believe” self-assessment and self-adjustment requirements? Are you concerned about Administrative \monetary Penalties (AMPs)? Do you require sage legal advice about Canada’s labelling rules? Do you require strategic legal advice about Canada’s “Made in Canada” labelling guidelines? Do you require experienced guidance to comply with Canada’s consumer protection laws? Do you require experienced guidance to comply with Health Canada laws? Do you require experienced guidance to comply with Canadian Food Inspection Agency requirements when importing food products? Do you require an import license? Do you require an export permit? Do you require strategic legal advice concerning racking payments (such as subsequent proceeds)? Has the CBSA notified you of a planned verification of your customs compliance? Has the CBSA issued to you a determination? Has the CBSA detained your imported goods? Has the CBSA issued o you a Notice of Ascertained Forfeiture? Has the CBSA confiscated your NEXUS pass or terminated your Custom Self-Assessment (CSA) Free and Secure Trade (FAST) privileges? Has the CBSA imposed an Administrative Monetary Penalty (AMPs)? Has the CBSA or Canada Revenue Agency started collections actions? Do you require assistance drafting a request for redetermination (appeal)? Do you require assistance drafting an appeal to the Canadian International Trade Tribunal? Do you require legal advice concerning a judicial review of an action of the CBSA or another government department? Has the enforcement action resulted in the loss of import privileges in Canada? Do you require assistance in negotiating a payment arrangement or collection terms? Do you require an experienced customs lawyer to conduct an internal audit and review of your customs compliance procedures and compliance with Canada’s customs laws? Does your corporate group undertake cross border transactions and make cross border payments on which customs duties may be payable? Do you require strategic legal advice concerning non-resident import activities in Canada? Do you require strategic legal advice concerning establishing a distribution business sin Canada? 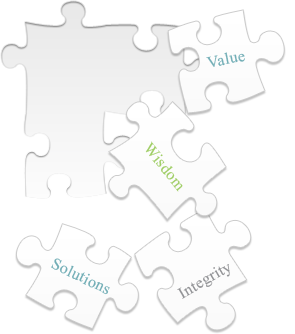 Are you selling your business and would like to conduct your own due diligence review? Are you buying a business and require the experience of a Canadian customs lawyer to conduct a due diligence review? Are you drafting documents that need representations, warranties, covenants, indemnities or limitations of liability covering Canada’s customs and border laws? Do you require a customs/import/export compliance manual? Do you require “best practices” policies and training programs for employees? Do you require an agency agreement with a customs broker, freight foreign order distributor or other person? LexSage has extensive experience assisting clients in all forms of customs, export controls and trade issues. Cyndee Todgham Cherniak is the Chair of the Canadian Bar Association, National Sales Tax, Customs and Trade Section. Cyndee is also a chair of the American Bar Association, Section of International Law Customs Committee and is Vice-Chair of the International Trade Committee. In 2011, Cyndee was a sessional law professor at the University of Windsor, School of Law and taught a course on Canada-US trade issues. Between 2005 and 2011, Cyndee was adjunct law professor at Case Western Reserve School of Law and taught a course on NAFTA. Cyndee is a director of the Canada-China Business Council. Between 2003 – 2012, Cyndee was an advisory board member of the Canada-United States Law Institute. Canadian Legal Lexpert® Directory (2004-2007).